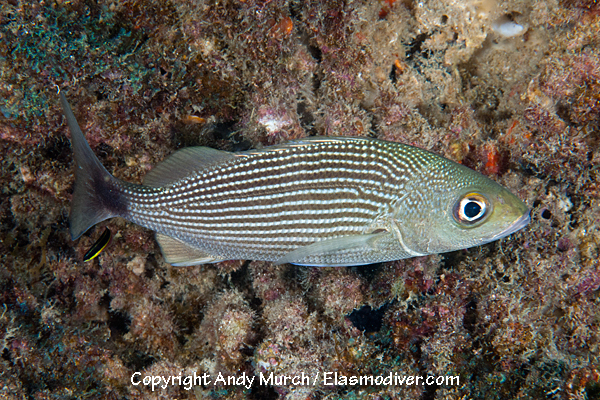 The Spottail Grunt (Haemulon maculicauda) is a schooling species from the Sea of Cortez and elsewhere in the Eastern Pacific. 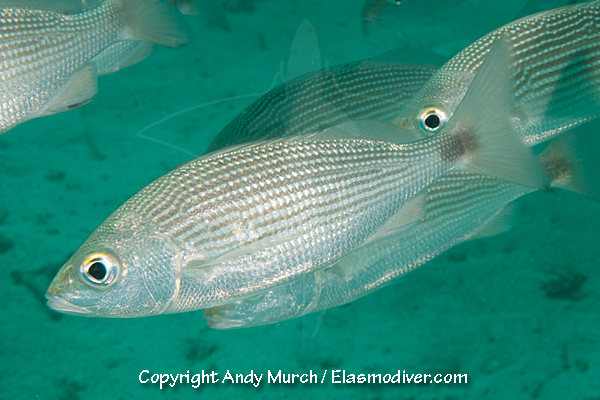 It can be found in huge numbers in some areas. 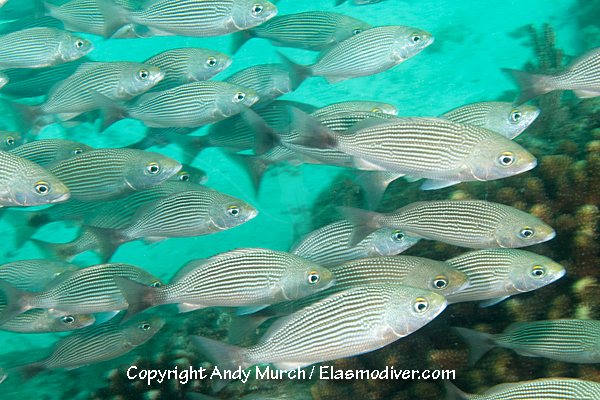 Schools of spottail grunts sometimes include many thousands of fish. 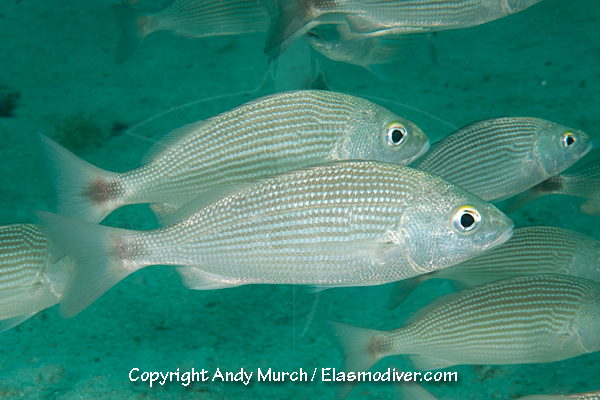 These Spottail Grunt pictures are available for commercial licensing. For further information regarding usage please e-mail Elasmodiver. All of the images on elasmodiver.com are copyright protected. 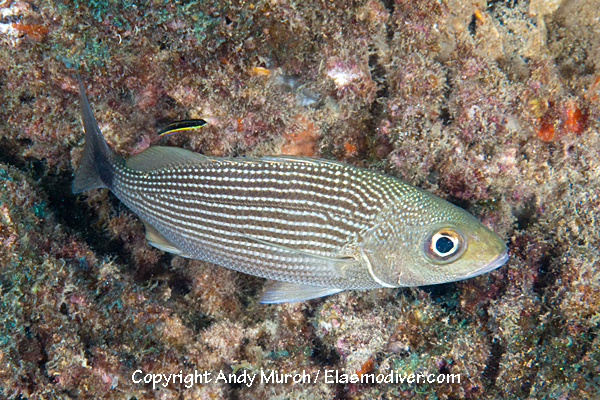 No unauthorized use of these Spottail Grunt pictures is permitted. Please contact Elasmodiver for further information.